The first images of the all-new Xbox One S have surfaced online ahead of a rumoured launch later this week. As expected, the new Xbox One is an All Digital Edition. It looks very similar to the existing Xbox One S but there's one crucial change that will dismay veteran gamers: it's ditched the disc drive. Sorry guys, the software delivery system you grew up with is now officially old. So, you won't be able to play DVDs, Blu-Rays, or Xbox One game discs on your all-new Xbox One S All Digital Edition. Instead, as the on-the-nose name suggests, the new games console will only run digital games bought from the built-in store, or accessed via a new version of Xbox Live – some rumours have suggested this could be a streaming service à la Google Stadia. The high-resolution images of the new Xbox One were obtained and published by WinFuture. According to sources speaking to the publication, the console will ship with a 1TB hard drive, which be more than enough to fill with blockbuster games, streaming apps, and the like. 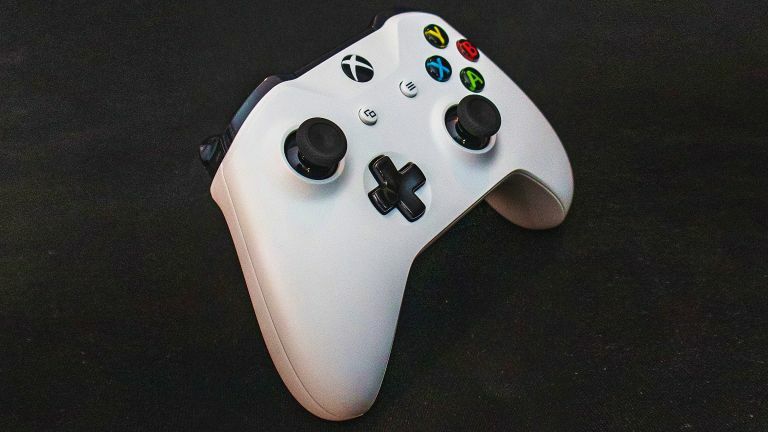 It's unclear whether Xbox One S All-Digital Edition owners will be able to add additional storage via an external hard drive, like the current-generation Xbox One S, but we'd be very surprised if Microsoft ditched this feature with the new console given its digital-only focus. WinFuture has also confirmed the console will support 4K UHD video playback, as well as High Dynamic Range (HDR). That should make this new console a seriously impressive streaming set-top box, as well as a competent console. According to sources, Microsoft is looking to charge around €229.99 (some $260, £199 when converted) for the Xbox One S All-Digital Edition. For comparison, the company currently sells the disc-touting Xbox One S with 1TB of built-in storage and a game for €299.99 on its European websites. In the UK, Microsoft typically sells its Xbox One S with 1TB of storage and no game bundled for £249.99. However, the company has discounted that price to £229 for a limited time. That means you'll be saving around 30% off the price when you opt to ditch the disc. However, digital games are typically more expensive than their physical counterparts, since there is no second-hand market, and friends can't swap or borrow titles they've finished with them. So, while the initial outlay might be less, it could add up over time. It remains to be seen whether people are ready to ditch the disk drive with the Xbox One S All-Digital Edition. Previous whispers point to an April 16 release date for the Xbox One S All-Digital Edition, so we could see this all-new design hit stores as soon as tomorrow. While the Xbox One S All-Digital Edition should prove to be a great way for price-conscious gamers to get into the seriously-impressive Xbox games catalogue, it also hints at where Microsoft sees the future of its successful console. Rumours of a streaming-only Xbox console have swirled online for years now. The console is allegedly one of two new offerings coming as part of the next-generation slate, codenamed "Scarlett" inside the company. According to Microsoft pundit Paul Thurott, there will be two consoles that make up the "Scarlett" overhaul, branded "Anaconda" and "Lockhart" inside the Redmond-based company. The first of these – "Anaconda" – is widely-tipped to be the successor of the current flagship, the Xbox One X. This next-generation console will have improved hardware, processors and graphics from AMD. According to previous whispers from inside the company, "Anaconda" will swap out the hard disk drive used in the current generation of hardware with an SSD to reduce video game load times. The new console will seemingly support Xbox, Xbox 360 and Xbox One titles. While "Anaconda" will be the flagship console from Microsoft, there will be another option. Codenamed "Lockhart", the second variant of the next-generation “Scarlett” Xbox hardware will be an entry-level option, like the Xbox One S. Although it will be capable of running the latest titles, "Lockhart" will not offer the same amount of grunt as the flagship "Anaconda" hardware. Like the Xbox One S All-Digital Edition, the "Lockhart" version of the next-generation Xbox hardware will ditch the disc drive in favour of downloads and streaming. As always, T3 will have all the news as it breaks. So stay tuned.